Sometimes things turn out for the best. 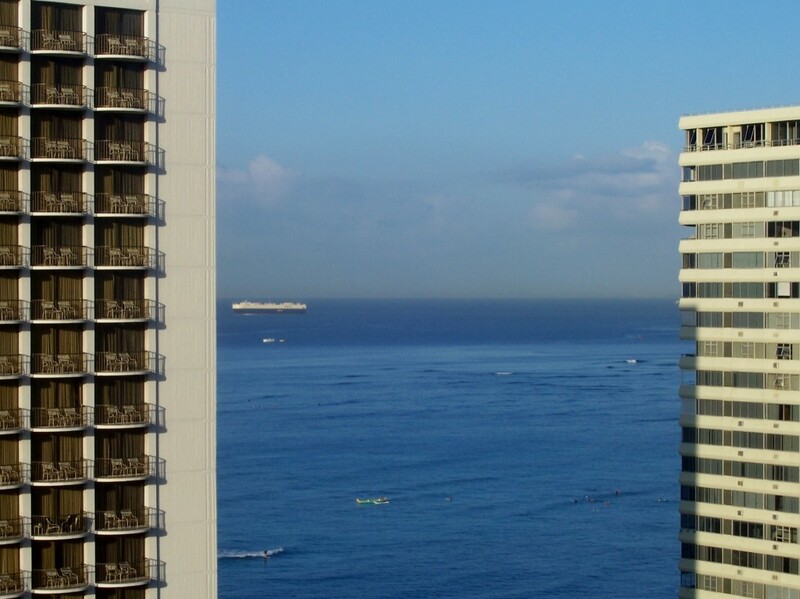 Case in point: a couple of years ago, I had a hotel reservation in Waikiki that got screwed up. After some back-and-forth with the check-in desk, I somehow ended up in a penthouse suite. Our room didn’t even have a number. 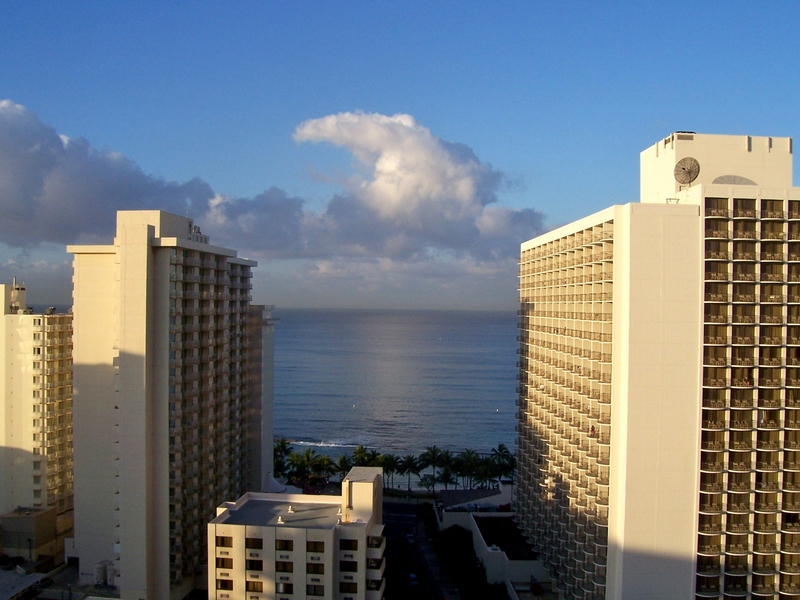 It was called the Oahu Suite. The suite was spacious, though not very luxurious. That didn’t matter. Even if the room was nothing special, the view made up for it. Even late at night, I could tell it was going to be spectacular. 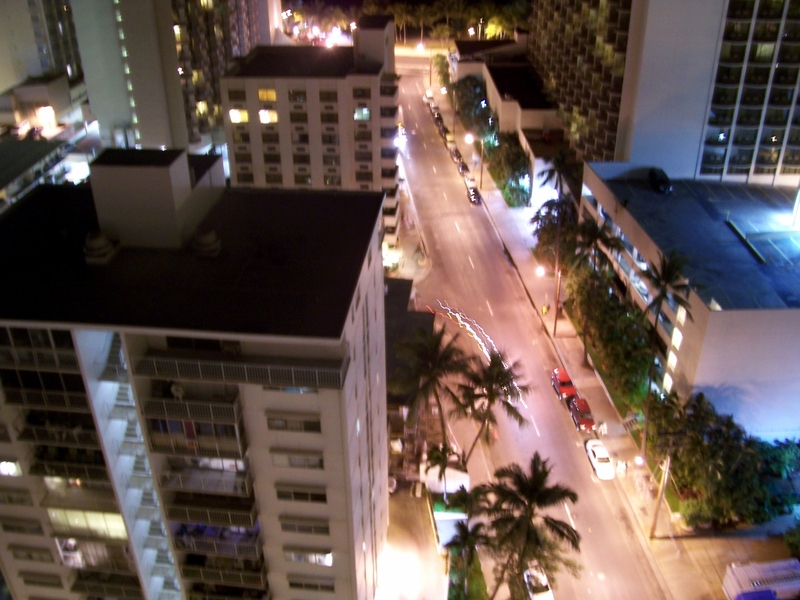 I could barely sleep that night, and as soon as dawn started to break, I was out on the balcony snapping these photos. 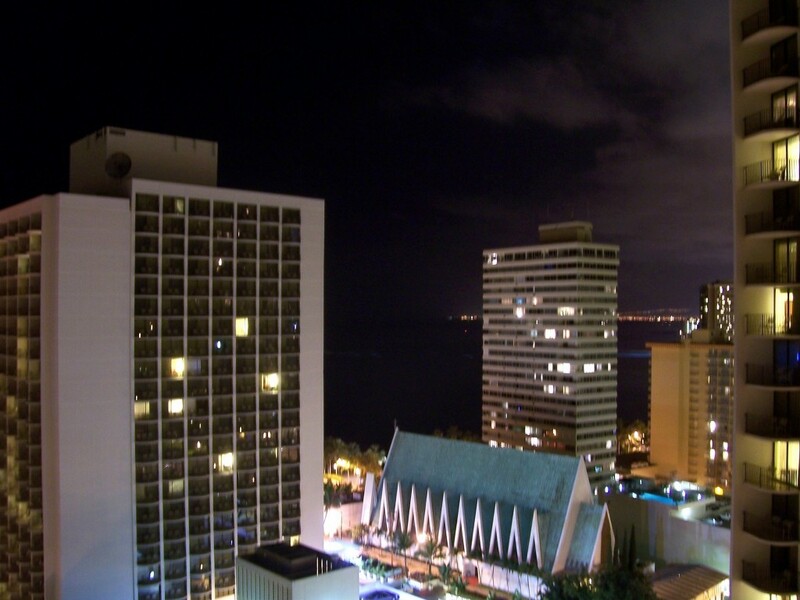 Waikiki just before dawn. You can see that people are just starting to wake up for a long day of tourism. I love the blurry traffic lights on the road below. 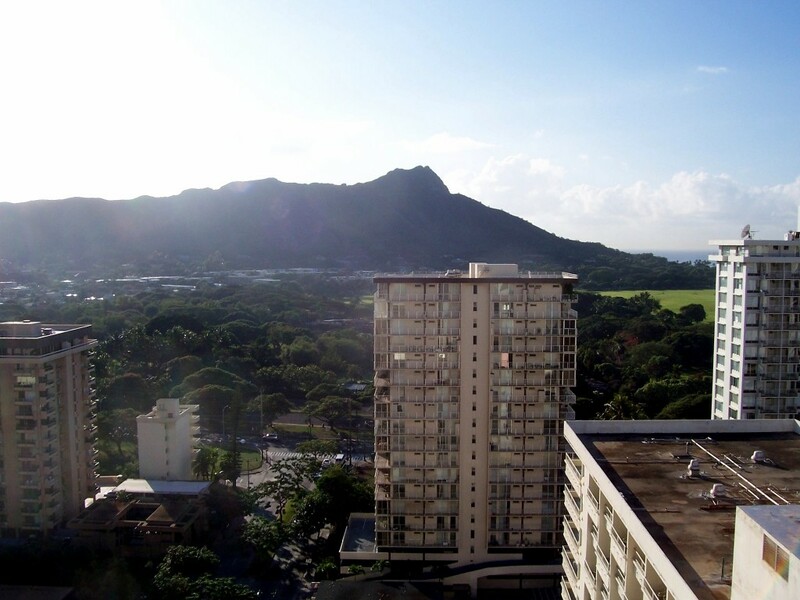 Sunrise over Diamond Head Mountain. 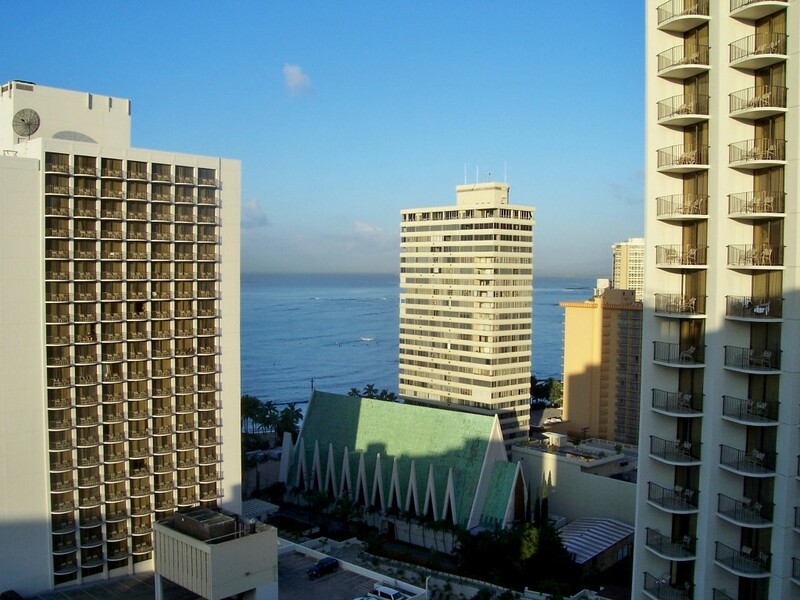 Early Morning in Waikiki. You can almost see the shadows shrinking as the sun comes up. I could have stared off the balcony for hours. A ship on the horizon. Hard to tell from so far away, but it looks like a cruise ship. Big ole clouds on the horizon. It was a beautifully sunny morning, but a storm rolled in that afternoon. Waikiki highrises. I like the round one. 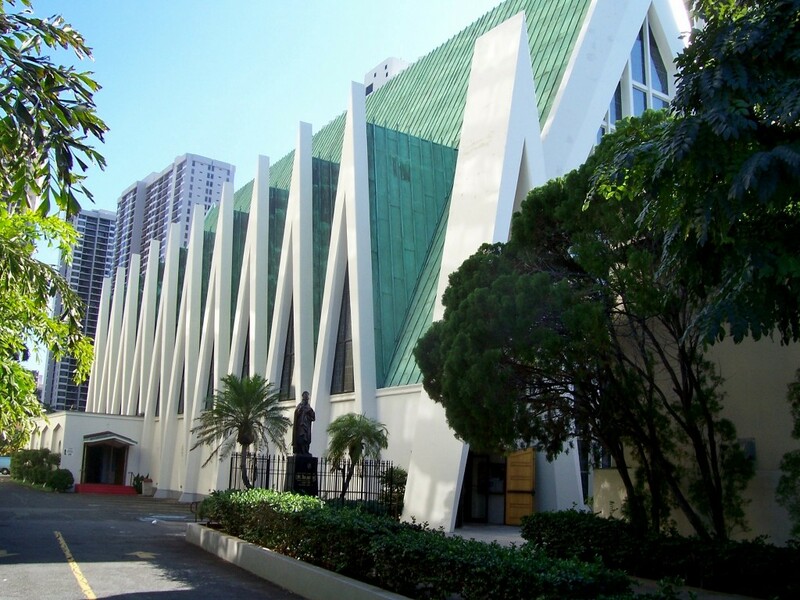 I really liked the look of this church, and it ended up in about half of my pictures. 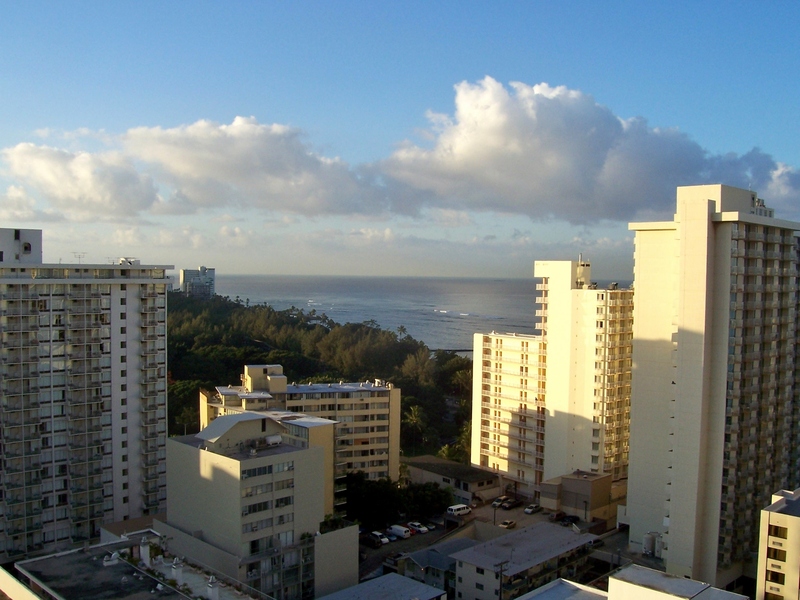 Watching the sun rise from a Waikiki penthouse was definitely a once in a lifetime experience. But I couldn’t stay on that balcony for very long. 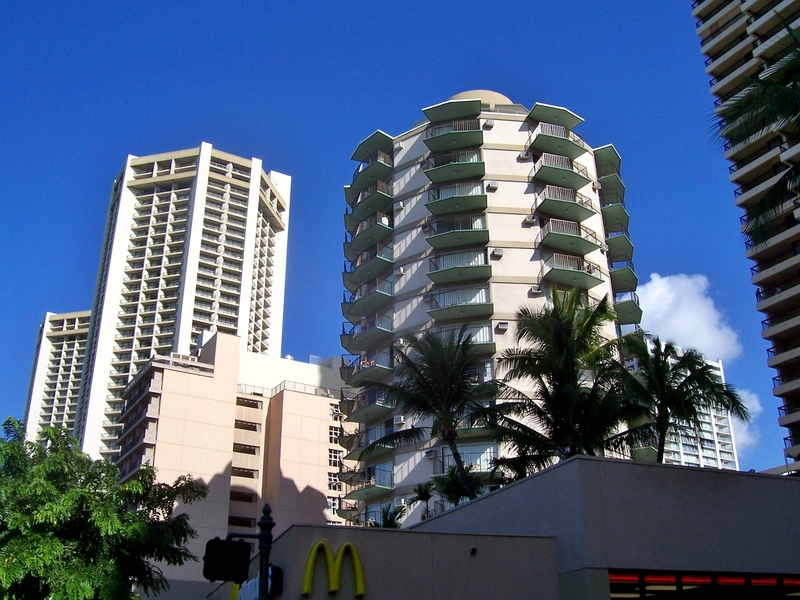 Once the sun was up, I went out onto Kalakaua Avenue and got some pictures before heading over to the beach. It was an amazing experience, and one of these days, I’d love to go back. Have you ever stayed in a hotel room or suite with an awesome view? If so, where? Let me know in the comment section.